Dr Eva Gümbel, State Secretary for Science, Research and Equalities, Free and Hanseatic City of Hamburg at CBSS High Level Meeting on Science. Photo credit: Colortime. 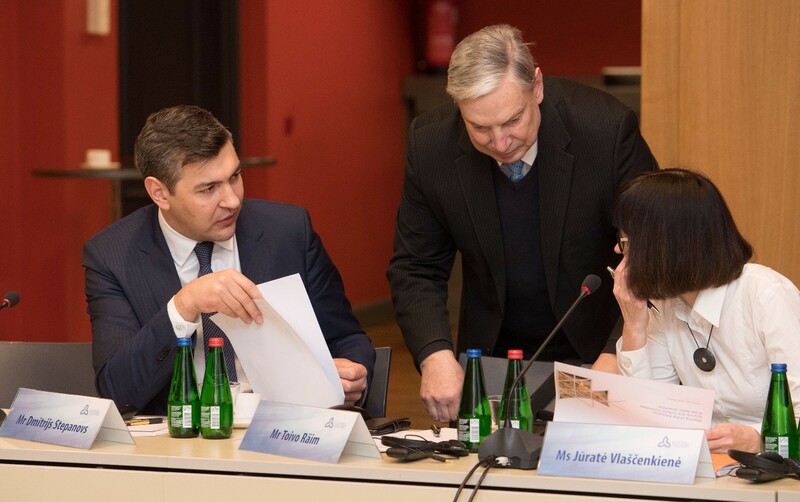 On 22 February 2019, the Academic Centre of the University of Latvia hosted the Council of the Baltic Sea States (CBSS) High Level Meeting on Science. Among the distinguished guests of the meeting were representatives of the senior leadership of the Ministries responsible for science and research, as well as notable transnational actors, such as the Baltic University Programme and BONUS. The meeting was concluded by an endorsement of the Joint Statement of the High-Level Meeting of the Representatives of the Ministries for Science of the Council of Baltic Sea States which is by and large based on the findings and conclusions drawn during the implementation of Baltic Science Network. For more information please consult the websites of Baltic Science Network, CBSS and the Ministry of Education and Science of Latvia. On 22 February 2019, right after the CBSS High Level Event on Science, a group of distinguished guests welcomed the guests of the Baltic Science Network (BSN) Closing Conference. 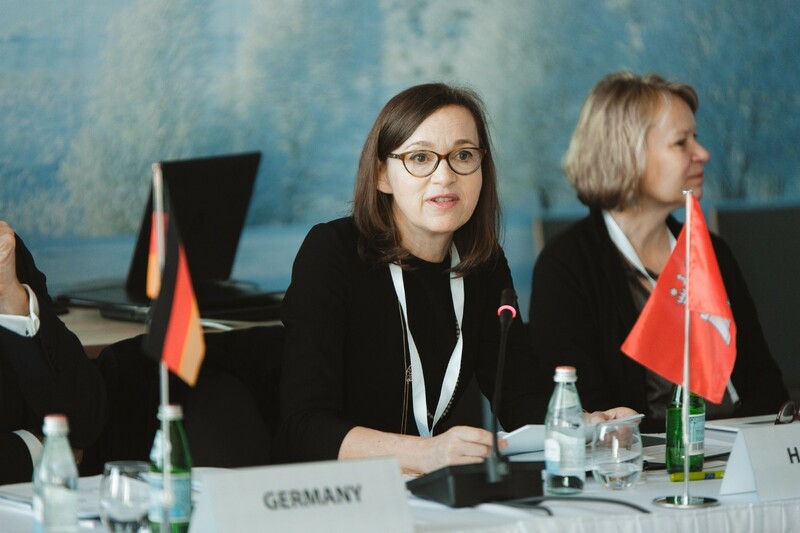 Eva Gümbel, Deputy Minister of Science, Research and Equalities, Free and Hanseatic City of Hamburg, was among the first speakers to set the inspiring tone of the discussions on research cooperation and science excellence in the Baltic Sea Region. Among the distinguished speakers of the High Level Panel were Līga Lejiņa, State Secretary at the Ministry of Education and Science of Latvia and the Chair of the CBSS High Level Meeting on Science, Valdemaras Razumas, Vice-Minister of Education, Science and Sport of Lithuania, Anders Ødegaard, Head of Office of the Danish Agency for Higher Education and Science, Boris Zhelezov, Deputy Director of the Department of the International Cooperation at the Ministry of Science and Higher Education of the Russian Federation, Sebastian Skuza, Under-Secretary of State of the Ministry of Science and Higher Education of Poland. 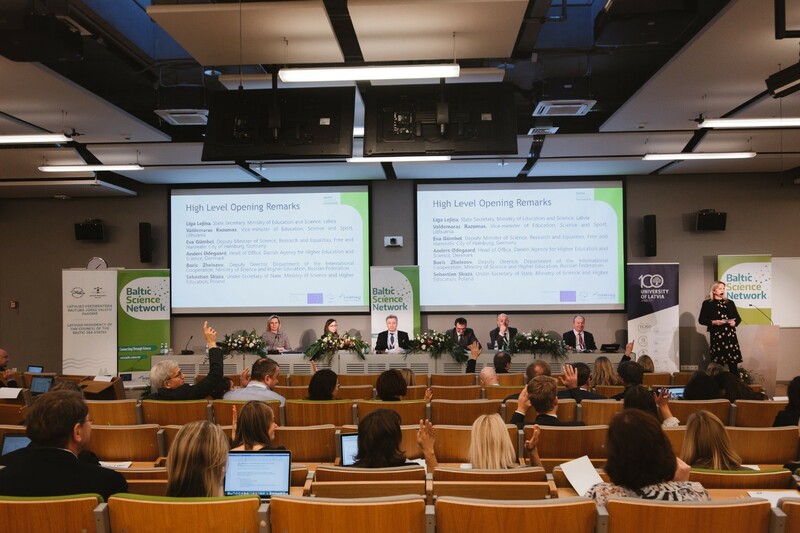 Both the opening remarks, as well as the consecutive panels were focused on facilitating the exchange of ideas and presenting Baltic Science Network results on such topics as new concepts and ideas for an enhanced mobility in higher education and research, joint areas of research excellence, as well as widening participations in the European Research Area. For more information please consult the websites of Baltic Science Network and the CBSS calendar entry. On 23 February 2019, the discussions on research collaboration were continued during the annual CBSS Baltic Sea Science Day. 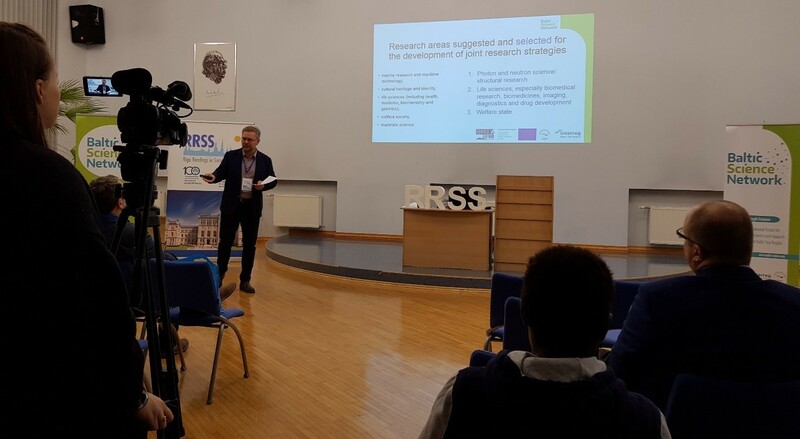 Baltic Science Network was among the key topics of discussions, especially during the parallel session “Researcher Mobility in the Baltic Sea Region” co-hosted in cooperation with the EUSBSR HA Neighbours. For more information please consult the websites of the CBSS, including the CBSS calendar entry, as well as the website of the EUSBSR HA Neighbours University of Turku Bloggers Portal 2019. On 26 November 2018, Baltic Science Network (BSN) and Baltic TRAM in cooperation with ScienceǀBusiness organised a conference “The Baltic Sea Region – A Science Powerhouse” in the charming Bibliothèque Solvay at the heart of the European district in Brussels. After the BSN transnational seminar held in Tallinn under the auspices of the Estonian EU Presidency, the Brussels conference was the next milestone of BSN in terms of receiving more high-level vision on its work and prepared researcher mobility and cooperation tools. Among the most prominent speakers of the debates was Jean-Pierre Bourguignon, President of the European Research Council, Signe Ratso, Deputy Director-General of the Directorate-General for Research and Innovation (DG RTD) of the European Commission, and Jurgita Petrauskienė, Lithuanian Minister of Education and Science. The lively panel discussions on topics such as Horizon Europe, scientific excellence of research infrastructures in the BSR and mobility of researchers and scientists in our region were followed by almost 200 guests from politics, academia and business. For more information please consult the websites of Baltic Science Network, Baltic TRAM and Science|Business. The most recent working level consultations about the progress achieved in the Baltic Science Network implementation were organised under the auspices of the Baltic Assembly and the latest meeting of its Education, Science and Culture Committee in Tallinn. On 8 February 2019, during a meeting hosted by Riigikogu, members of the Committee jointly with parliamentarians of the Benelux Parliament, governmental representatives of the Baltic Council of Ministers and representatives of the Nordic Council discussed among other topics joint science and research projects of the Baltic States in the context of the EU Multiannual Financial Framework 2021 - 2017. 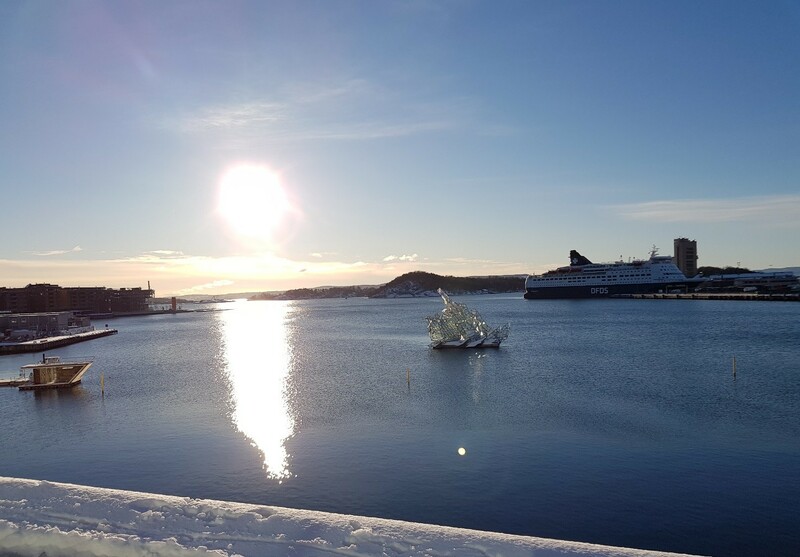 On 16 – 17 January 2019, Baltic Science Network (BSN) held the concluding Steering Committee and Partner meeting in Oslo, the European Green Capital 2019. This was the last working level meeting before the high level discussions held in Riga during the CBSS meeting on Science, BSN Final Conference and the CBSS Baltic Sea Science Day 2019 in late February. 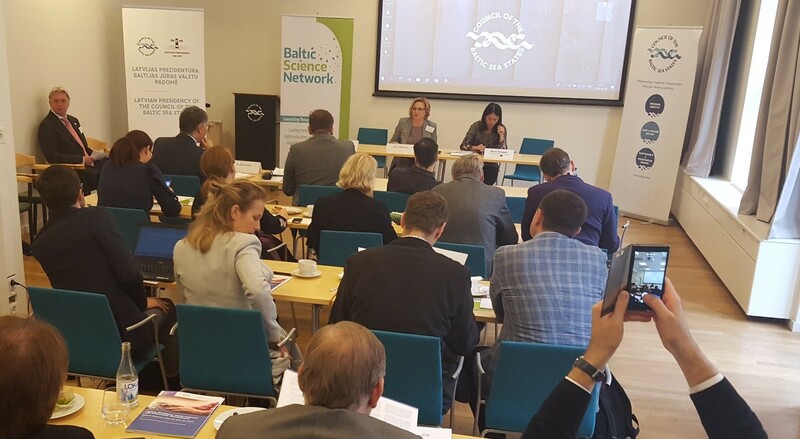 The end of 2018 and beginning of 2019 have been exciting months for the Baltic Science Network as all expert groups of the fields of scientific excellence selected by BSN have concluded their consultations and presented their concluding recommendations. The Life Sciences Expert Group has agreed on a set of suggested cooperation measures captured in the Working Paper “Scientific Excellence in Life Sciences in the Baltic Sea Region. Report of the Expert Committee”. The Photon and Neutron Science Expert Group fine-tuned and finalised the Working Paper “Creating A Unique and Sustainable Value Through Scientific Excellence in Photon and Neutron Science in the Baltic Sea Region. Report of the Expert Committee”. The Welfare State Expert Group presented its report “Fostering Sustainable and Inclusive Labour Markets in the Baltic Sea Region: A Life Course Perspective” to a wider audience during a breakfast briefing at the CBSS Secretariat in late September 2018. 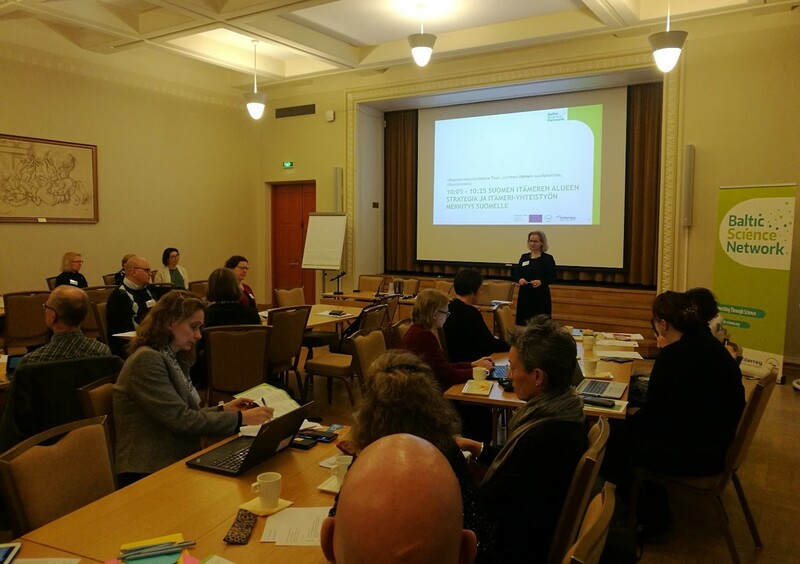 On 3 December 2018, University of Turku organised a workshop for Finnish stakeholders of the Baltic Science Network in Helsinki. The keynote speaker of the event was Helena Tuuri, Finland´s Ambassador for Baltic Sea Affairs. She pointed out that the Baltic Sea Region countries are used to working with each other, and that the Baltic Sea Region was the first area in the EU to have a macro-regional strategy. Tuuri highlighted that despite such promising conditions there are challenges ahead, for example, in securing funding. Therefore, the actors in the Baltic Sea Region should keep the Baltic Sea Region issues in the minds and on-going discussions among the decision-makers. 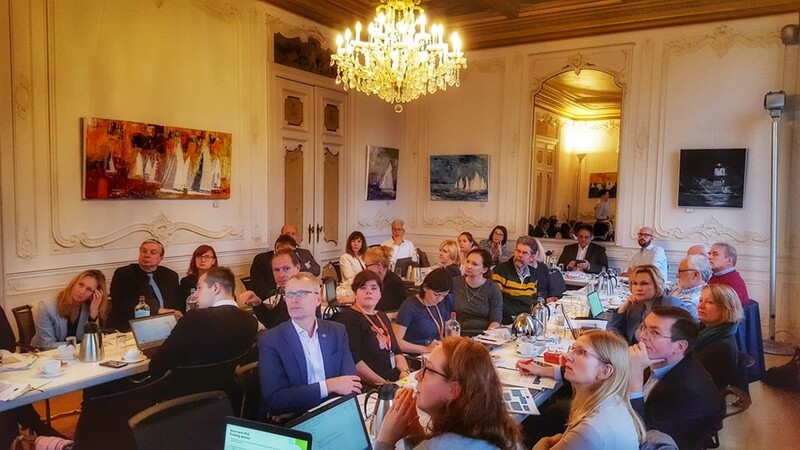 On 27 November 2018, after a wealth of inspiring debates experienced during the conference “The Baltic Sea Region – A Science Powerhouse” Baltic Science Network (BSN) members gathered for a working level meeting hosted by the Hanse Office in Brussels. On 2 – 4 October 2018, Baltic Science Network (BSN) members visited Denmark (Copenhagen and Taastrup) and Germany. The aim of this working level visit was to gather input for development of intersectoral cooperation and intersectoral mobility, but also on potential ways for future cooperation in the field of large-scale infrastructures. Due to life sciences being one of the three thematic areas chosen by the BSN for developing joint transnational strategies for scientific excellence and a prioritised field in Estonia, the visit largely focused on good practice examples in this science domain, as well as opportunities for future collaboration. For more information please consult the websites of Baltic Science Network and the University of Latvia, Faculty of Social Sciences. This message was also paving the way for a discussion on the CBSS Science, Research and Innovation Agenda at the CBSS Secretariat. On 12 November 2018, right after the world-wide celebrations of the World Science Day for Peace and Development 2018 a group of students from St. Petersburg was introduced to the latest developments of Baltic Science Network and the CBSS Baltic Sea Science Day 2019. Daria Akhutina, Senior Adviser, welcomed the student group with a brief introduction to the CBSS. For more information please consult the websites of Baltic Science Network, CBSS and UNESCO under the section “Events round the world”. Baltic Science Network featured in the Commission Staff Working Document (pages 9, 12) of the latest report on the implementation of the EU macro-regional strategies presented by the European Commission. Baltic Science Network Final Conference promoted by the Baltic University Programme, in the December 2018 edition of the CBSS Newsletter “Balticness Light”, CORDIS Wire and the European Cluster Collaboration Platform. 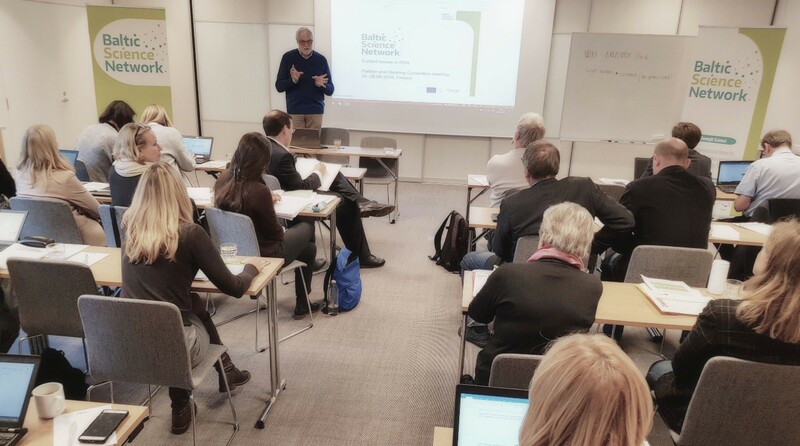 Baltic Science Network and EUSBSR HA Neighbours co-hosted parallel session “Researcher Mobility in the Baltic Sea Region” of the CBSS Baltic Sea Science Day 2019 is promoted on the EUSBSR & HA Neighbours calendars. 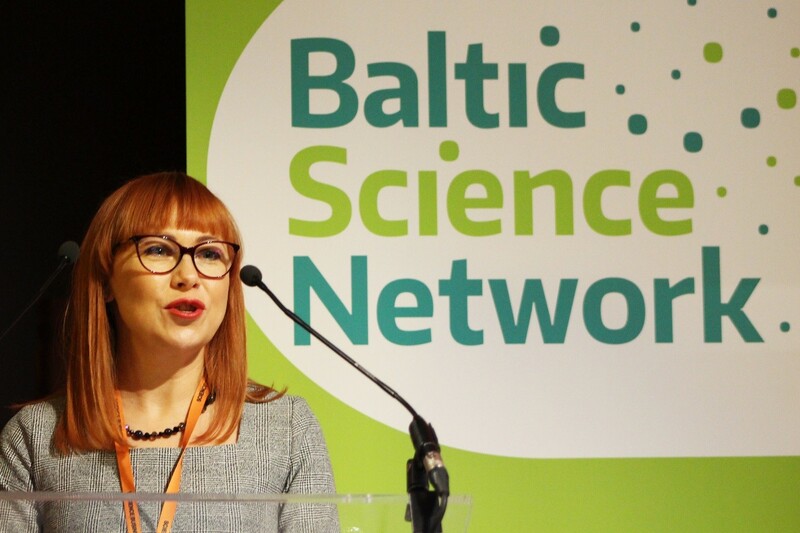 Baltic Science Network is featured in the Baltic Rim Economies #1 (2019), the article “CBSS – Background and Vision for Future Cooperation in BSR” by Daria Akhutina (p. 26). EUSBSR flagship story of the Baltic Science Network listed among the examples of the EUSBSR website. Baltic Science Network on the KEEP.EU data base. Baltic Science Network in the CBSS Annual Report for the Swedish Presidency 2017-2018 (pp. 60 – 61). Baltic Science Network report "The Baltic Sea Region - A Science Powerhouse” is contributing in an integrated way to the Work Packages 3 “Development of Research and Innovation Excellence in the Baltic Sea Region”, 4 “Mobility in Research and Higher Education” & 5 “Widening Participation in Research and Innovation”, Activities 3.5 “Action Plan to Support Transnational Strategy on National, Regional, Local Level”, 4.4 “Action Plan for Implementing Mobility Schemes and Funding Instruments”, 5.3 “Action Plan how to Implement Concept and Tools for Widening Participation”. Baltic Science Network report “Baltic Science Network - Learning Experiences” is part of the Work Package 6 “Capacity Building & Learning Experiences”, Activity 6.2 “Learning Experiences of the Baltic Science Network - Do’s and Don’ts for Successful Implementation of Transnational Science Policies”. 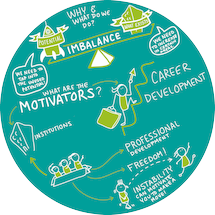 Working Paper “Baltic Sea Region Needs More Powerful Researcher Mobility” and its summary with the same title are part of the Work Package 4 “Mobility in Research and Higher Education”, which offers a cross-cutting look at the overall results of this strand of the Baltic Science Network. 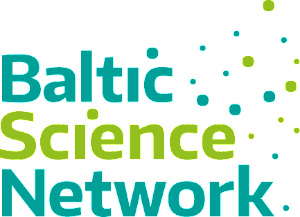 Brochure “Baltic Science Network Gives a New Impetus to the Baltic Sea Region as a Science Powerhouse” offers a concise overview of the most recently published Baltic Science Network analysis. Baltic Science Network “Roadmap for Transnational Utilisation of Existing and Planned R&I Infrastructure” is part of the Work Package 3 “Research & Innovation Excellence” , Activity 3.2 “Joint Transnational Strategies for Scientific Excellence”. The publication provides practical suggestions how to further develop the efficiency of the research infrastructures in terms of their utilisation and engagement in collaborative initiatives. In addition, the roadmap entails an evaluation of European research infrastructures which are of a particular interest to the Baltic Sea Region. The press release “Baltic Science Network Dwells into the Intricacies of Research Infrastructures” provides a more contextual insight in the preparatory process of this output. Baltic Science Network brochure “Research and Innovation Excellence in the Baltic Sea Region” is part of the Work Package 6 “Capacity Building & Learning Experiences”. The brochure was published before the Brussels conference in order to offer its attendants a broader scope of examples of excellent scientific achievements delivered by the Baltic Sea Region. The press release “A Busy Winter Season” provides a more contextual insight in the preparatory process of this output. Baltic Science Network report "Creating unique and sustainable value through Scientific Excellence in Photon and Neutron Science in the Baltic Sea Region” is part of the Work Package 3 “Research & Innovation Excellence”, Activity 3.2 “Joint Transnational Strategies for Scientific Excellence”. 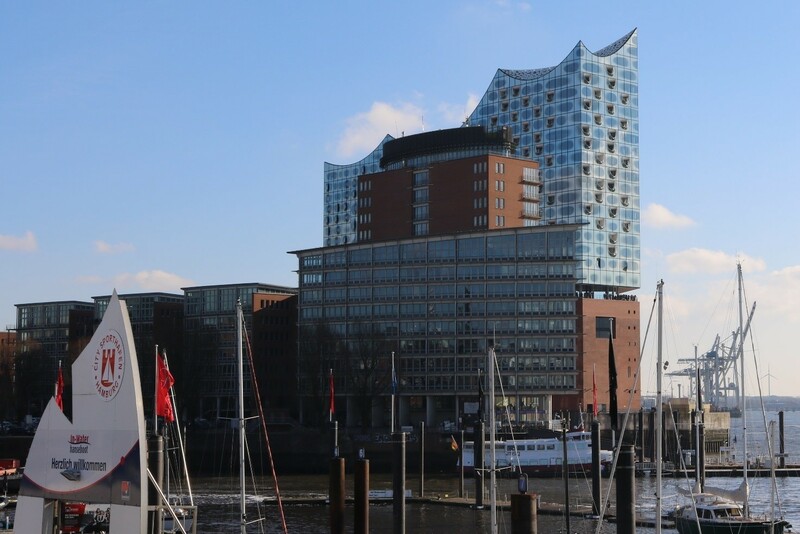 The publication captures the main conclusions and findings of the Photon and Neutron Science Expert Group assembled by the Baltic Science Network and co-chaired by the Ministry of Science, Research and Equalities of the Free and Hanseatic City of Hamburg. Baltic Science Network report “Scientific Excellence in Life Sciences in the Baltic Sea Region” is part of the Work Package 3 “Research & Innovation Excellence”. 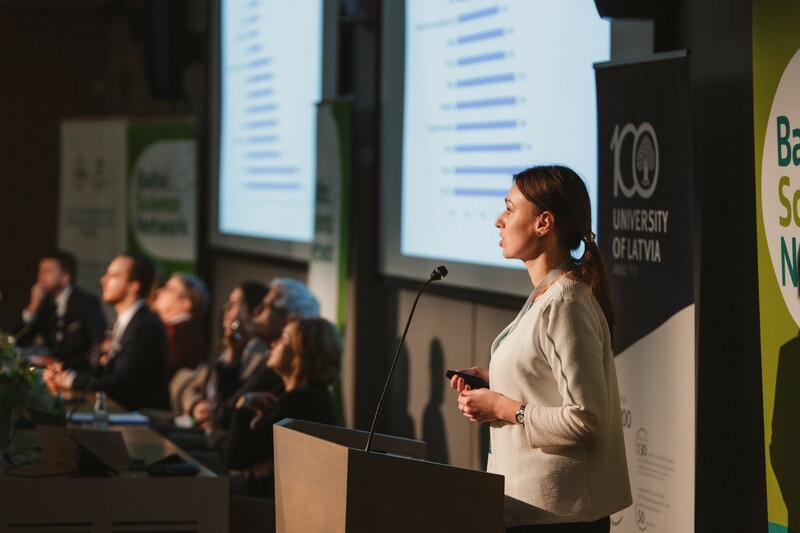 The publication captures the main conclusions and findings of the Life Sciences Expert Group assembled by the Baltic Science Network and co-chaired by the University of Turku. Baltic Science Network Working Paper of the Welfare State Expert Group “Fostering Sustainable and Inclusive Labour Markets in the Baltic Sea Region: A Life Course Perspective” is part of the Work Package 3 “Research & Innovation Excellence”, Activity 3.2 “Joint Transnational Strategies for Scientific Excellence”. The publication captures the main conclusions and findings of the Welfare State Expert Group assembled by the Baltic Science Network and co-chaired by the CBSS Secretariat.